Treat yourself or your friends and family to the greatest global cinema on demand. 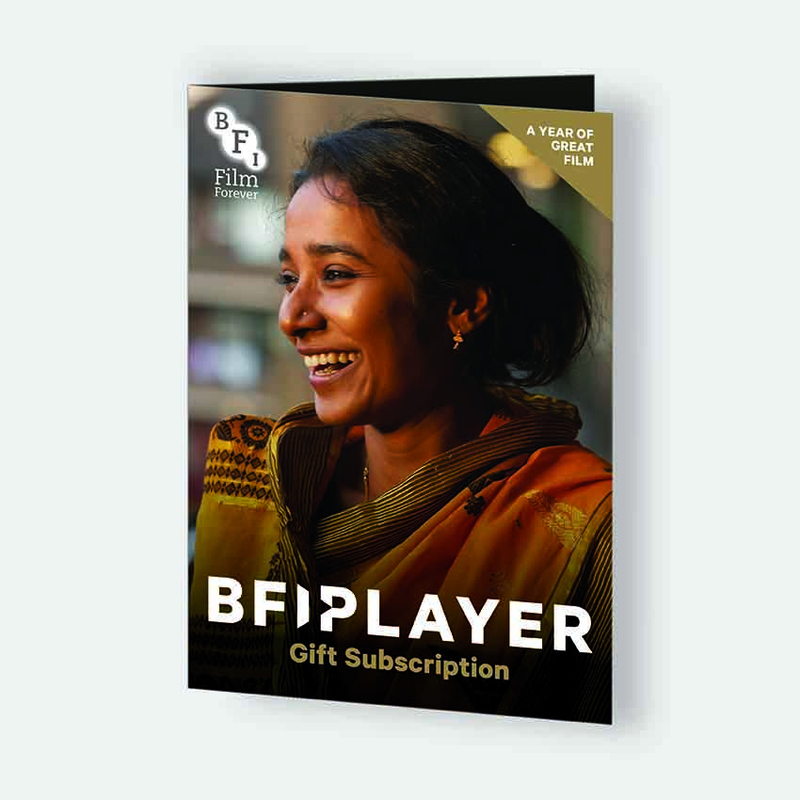 Buy today and we'll send the BFI Player Gift Subscription Pack out by post. We'll do this as quickly as we can but please allow up to 14 days for delivery. At checkout, you can choose to have it delivered to you or direct to the recipient. If you choose the latter, please remember to include details of any message that you want us to include. The Gift Pack includes a unique voucher code and the recipient must activate their BFI Player Subscription online. Full instructions are included in the pack. Please note that in the event of your chosen Gift Card design being out of stock, an alternative design may be substituted. Available on desktop, Android, iOS devices & selected Samsung TVs. The Gift Card is not compatible with the BFI Player Channel on Amazon Prime. Please note that BFI Player is unavailable outside the UK. The image on this card is from Sarah Gavron's Brick Lane (2007).